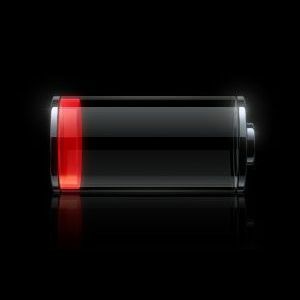 By far one of the most disappointing features in just about every smartphone these days is the battery life, which for most of us requires at least one charge per 24-hour period. That’s not too bad, but what if your phone isn’t quite lasting the day? 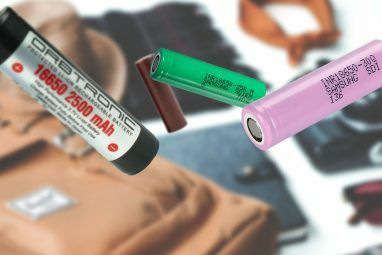 Are you a power-user or do you simply need a few quick tips on battery maintenance? It’s time to get a grip and take control of your power consumption. Below you will find power-saving tips to help squeeze as much juice out of your smartphone as possible. It’s no secret that your phone’s display is the largest drain on power that your device encounters. The brighter your screen, the more energy is required to power the backlight. By limiting your screen’s maximum brightness, your battery should see less use and you’ll have more power left at the end of the day. Most models these days come with a light sensor that detects ambient lighting conditions and adjusts the screen brightness accordingly. Whilst this is great at night, or for checking your cell phone in the cinema without blinding everybody, in full sunlight your phone will be maxing out it’s brightness setting, and eating up a lot of power. By limiting the brightness you can stop this happening, though you might need to duck into the shade to read your email. The time it takes your backlight to time-out can also affect battery life, so to boost your cell phone battery life, try reducing this to no more than a minute (after all, it won’t take you a minute to read a small screen’s worth of text). Unfortunately wireless technology is still not that efficient when it comes to power usage. 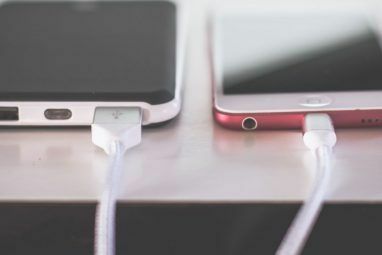 In a few years we’ll be laughing all the way to the power bank, but for now it’s best to disable Wi-Fi if you don’t intend on using it for a while. Some phones will automatically connect to any public network they encounter, so your phone could be wasting your battery in your pocket with absolutely no benefit to you whatsoever. As for Bluetooth – I never understood the benefit of leaving it on constantly anyway. Unless your life is incomplete without that little blue “B” in your status area then ditch it, it doesn’t take long to turn on when you need it anyway. Similarly, GPS is another big drain on cell battery. Sure, it’s great for checking in on FourSquare or adding your location to a tweet but constant use will severely affect your battery life. Whilst on battery power, it’s best to avoid GPS intensive applications like mapping tools (save them for the car). On the iPhone if an application or web page requests your location then granting permission permanently allows that app to use GPS. If you never use the location aspect, or simply don’t see the point then denying these requests will limit potential GPS use, thus saving battery. Disabling use of GPS altogether might appeal to those who literally find no use for satellite navigation in their lives. If you find yourself in a situation where you need your phone simply for SMS or calls, and have no idea when your next charge will be, then disabling 3G will help save you precious battery. I have experienced this first-hand on my iPhone, after a day without any 3G (or indeed GSM) use at all I can make it to the evening with around 50% charge. Under similar usage with 3G enabled, a day of my phone sitting in my pocket results in around 25% or less charge in the evening. If you don’t need the mobile web, aren’t sending multimedia messages or video calling then you won’t need 3G and will inevitably be grateful for that extra juice. If your device supports it, switching off data altogether will leave you without the net but still able to make calls should you desperately need to. Multitasking on Android and iOS is handled slightly differently by each operating system. 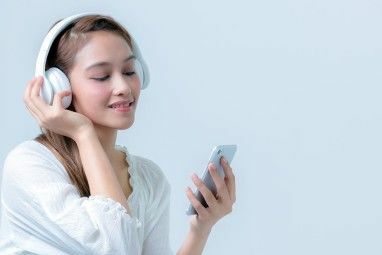 iOS freezes the application in its current state, though apps like iTunes and media players will continue downloading or playing in the background. Android operates similarly, but with greater scope for true multitasking with apps able to stay awake in the background, sucking up power more-so than they would on a friend’s iPhone. To stay on top of greedy applications try an app like Autorun Manager to stop unwanted software starting up when you boot your phone and JuiceDefender to better manage your Android device’s power 5 Ways To Cut The Battery Drain On Your Android Phone 5 Ways To Cut The Battery Drain On Your Android Phone Have you ever glanced at your Android phone, only to notice that the battery charge is already half gone and you didn't even touch the phone once? Many people constantly download and install new apps... Read More . Conversely I’m not going to recommend an “app killer” as I’ve read conflicting reports over whether killing background apps is any good or not, considering many consume more power starting up once you’ve killed them an hour or so ago. For both iOS and Android phones avoid apps that require a lot of resources, such as capturing video or playing games. Your phone’s vibrate setting consumes far more power than a simple audible alert, so by disabling it you can save some juice. Similarly notifications in general consume power, switching on your phone or causing it to buzz in your pocket. If you find yourself simply dismissing them constantly then disabling the least useful will save you both battery and patience. Modifying your phone’s software can really make all the difference, especially when it comes to Android phones. Rooting your Android How To Root Your Android Phone With SuperOneClick How To Root Your Android Phone With SuperOneClick Read More allows you to replace your bloated branded OS to something a little more lightweight without all the power-consuming bells and whistles you never use. Similarly jailbreaking your iPhone Jailbreaking & iOS: The Pros and Cons of Voiding Your Warranty Jailbreaking & iOS: The Pros and Cons of Voiding Your Warranty Have you been feeling the need to jailbreak recently? With the latest tools, freeing your iPhone, iPod Touch or iPad (not iPad 2) is as easy and accessible as it’s likely to get. There are... Read More allows you to install something like SBSettings which provides quick access to toggle bluetooth, wireless and so on. Did you find these tips useful? Any other advice for saving battery? What phone do you have and how long does it last? Let us know in the comments. Universal laptop computer battery in New York city provides the best advice for buying Laptops and compare laptop battery life. You can contact us for any lithium ion laptop battery, refurbished, used or laptop battery repair of the following laptops. HP laptop battery, compaq laptop battery, sony laptop battery, external laptop battery, laptop battery life, gateway laptop battery, laptop computer battery, ibm laptop battery, universal laptop battery, laptop battery won't charge, dell inspiron, laptop battery care, compaq presario laptop battery, hewlett packard laptop battery, laptop battery software, laptop battery repair, how to test laptop battery, hp laptop battery recall. You forgot one very easy way to increase battery life - turn your phone off when you aren't or can't use it. These times include but aren't limited to: when swimming, at the movies, romantic dinner, working out at the gym with the phone in your locker, at church, sleeping at home when you still have a land line phone and my favorite -- when you just don't feel like talking to anyone. Your phone will take a message! Undervolt your cpu. Most phone processors use way more power than they need because the manufacturers use a one-size-fits-all setting instead of tailoring the voltage to your processor. Thanks for the tip, though I think this is one for the tweakers and power users! I would follow these tips with my iphone 3GS, And Nice Article.